Etter Water Well is a water well drilling and service company. If you need a new well drilled or just need an existing well serviced, we can help! We have the equipment and personnel to provide you with the best service available. Everyone needs water, and no job is too big or too small for us! We drill and service all sizes of wells including residential, agricultural (livestock and irrigation), municipal, and commercial. 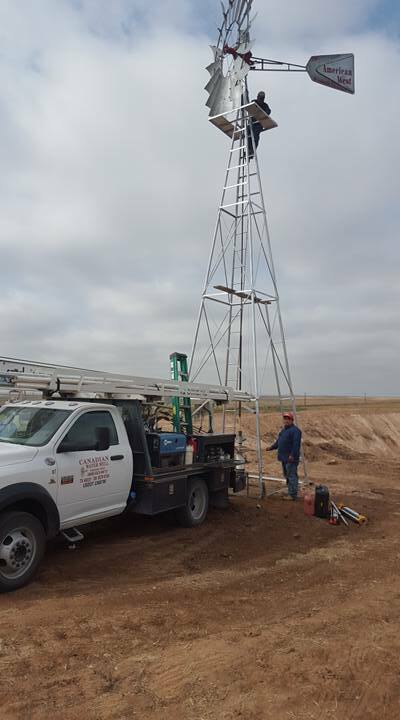 Etter Water Well provides turnkey water well services for the entire Northern Texas Panhandle, Western Oklahoma, the Oklahoma Panhandle, and Eastern New Mexico. We are licensed and fully insured. Contact us today to discuss your water well needs. My name is John Julian and I am part of the Barley Water Group. I operate the Canadian Water Well division. I also oversee the Etter, Texas and Amarillo, Texas divisions. I was born and raised in Canadian, Texas. I like to vacation in Cozumel, Mexico, snorkel, and scuba dive. I also like taking care of cows and all that goes along with this. I am married to my wife of 37 years and we have 3 grown children. My father got started in the water well business in 1922. My brothers operated water well business in Texas and Kansas. I have been involved in the water well business since 1986. I served on the Canadian volunteer fire department for 8 years. I have been a member of the Texas South Plains Chapter of the Texas Ground Water Association, and served as president 2 times since 1986. I have also been a member and director of the Texas Ground Water Association, a member of the Oklahoma Ground Water Association as well as the National Ground Water Association.